What is your favorite outdoor form of exercise? Of all the exercises available, I would prefer Yogasanas considering it is also one of the outdoor exercise. They don't really take lots of efforts but the outcome of doing Yoga is really awesome. There are several asanas or postures available in Yoga. Though the practicing methodology differs from one person to another, the outcome can be really impressive after regular practice. Of all the Yoga Asanas that we have, I would say Surya Namaskar is the best work. Suryanamaskar is basically a combination of multiple asanas all together. The literal meaning of the word Suryanamaskar is praying Lord Surya or the Sun God by doing multiple postures. Surya Namaskar is an interesting Yoga Asana that helps in covering all aspects of exercise. A bare minimum exercise a person will need every day is fulfilled by doing Surya Namaskar. If this Asana is practiced every day, all body related problems will be sorted easily and a person can stay healthy. This Asana is also very helpful in longevity. This outdoor sport is a smart move, implementing the best sports commitments. Exercise has become part of the lifestyle it shows the amount of public attention to health, hot sun causes a sense of lazy, so prefer indoor activities such as indoor fitness, yoga, or pilates. That outdoor sports can increase energy, revitalization and even work more effectively increase the body's metabolism. Encourage the passion to run it. Everyone has a personal motivation about his goal of exercise. Change your mindset and set achievement targets to match your own body's activities and abilities. Know that exercise should not be a burden but a fun-body activity. committed to these three things to get the best results. making sun exposure as a lazy reason to exercise. Avoid by choosing the right time, such as morning or evening. run or bike for 15-30 minutes before starting the activity. Although impressed exhausting, but the rutnitas make the body and mind become more fresh, so energized throughout the day. Judging from experience which they say is the best teacher, I would that my best outdoor form of exercise is precisely my darling morning jogging which I do for about an hour everyday in which I cover almost two miles. What usually make my jogging Interesting and keeps it going is the ladies I usually see around whenever I want to give up one of them would just pass me by and of course my morale gets boosted up thanks to the ladies. I love volly ball sports. I really like hiking and kayaking because they allow me to be fully immersed in nature while observing and enjoying its grandeur. Both these forms of exercise test your endurance while opening up your senses to the outside world. I have recently taken up archery as a new form of physical and mental exercise. I usually take my target out into the woods and shoot my arrows. The quiet of the woods juxtaposed against the subtle sounds of a stream and birds allow me to relax my mind. 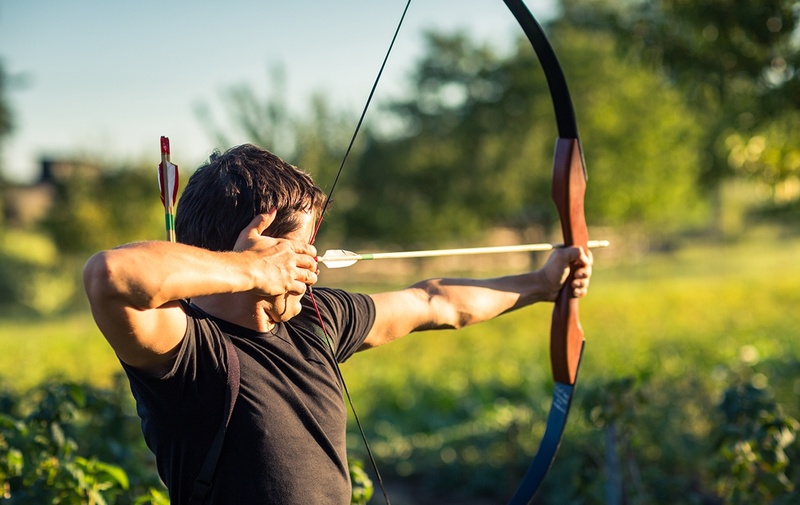 Holding the bow taught as I draw back works my back and arm muscles as i steady my core and control my breathing before letting go of the bowstring and hearing the "thwip" of the arrow meeting it's mark. It is all a wonderful experience. What is God in your perspective?Why do people who really have no need for money still working for money?How does a colour blind person knows that he has colourblindness?He never knows what colour are like since birth.So how does he find out?Do you watch the trending or hot pages in Steemit ? If yes, then why ? ?What is the best topic to ask in musing.io?Why are people still on Facebook when it does not pays for their post and likes?How can we not be afraid of failure in work and life and be successful?I'd love to hear stories about what happened on your first date please?What are the ways of preventing spouse treason ?How to be kind to ourselves and others?